Legislators “don’t trust” newly elected governor, so they want to take away Evers’ power. 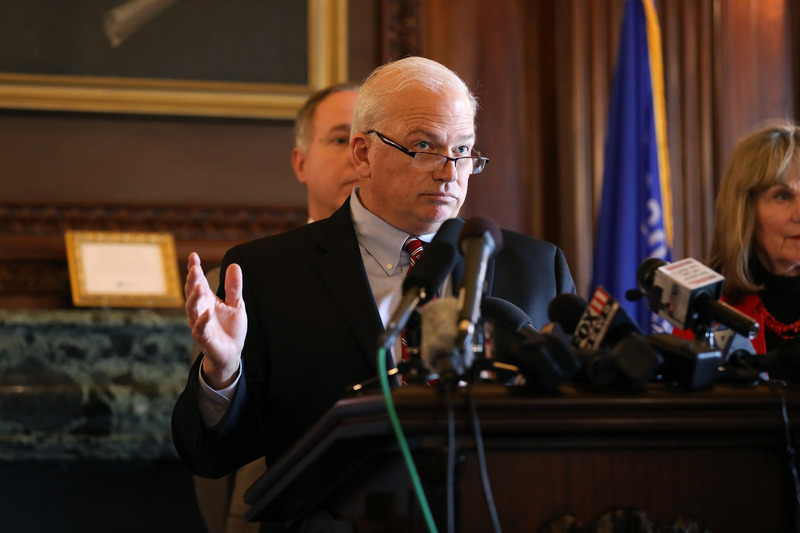 Senate Majority Leader Scott Fitzgerald, R-Juneau, speaks during a press conference on Dec. 3, 2018, at the Wisconsin State Capitol ahead of the Joint Finance Committee public hearing to discuss bills voted on during an extraordinary session of the Legislature, held on Dec. 4 and 5, 2018. Photo by Coburn Dukehart/Wisconsin Center for Investigative Journalism. We just had an election wherein the outcome was clear, the people of Wisconsin sought change and elected a new Governor. Now should be a time of peaceful transition, but instead we have just witnessed an unprecedented power grab by Republicans in the state legislature. The recent passing of President George H.W. Bush is a stark reminder of how far our country has come since the days when good people from both sides of the aisle could work together in mutual respect. We must never make the mistake of thinking that we were only elected to serve the voters who agree with us. Wisconsin’s working families deserve a legislative body where elected officials can work across the aisle and with the governor to solve Wisconsin’s toughest problems. 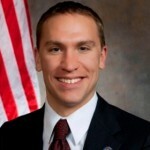 Wisconsin State Senator Chris Larson represents Wisconsin’s 7th Senate District – which includes Cudahy, Oak Creek, St. Francis, South Milwaukee, Milwaukee, and Franklin and is the ranking Democratic member of the Senate Committee on Education. Yes, Chris, the partisan proposals from the lame duck special session are undemocratic. If Walker doesn’t have the stones to veto them, they need to be challenged in courts.